This 44mm. 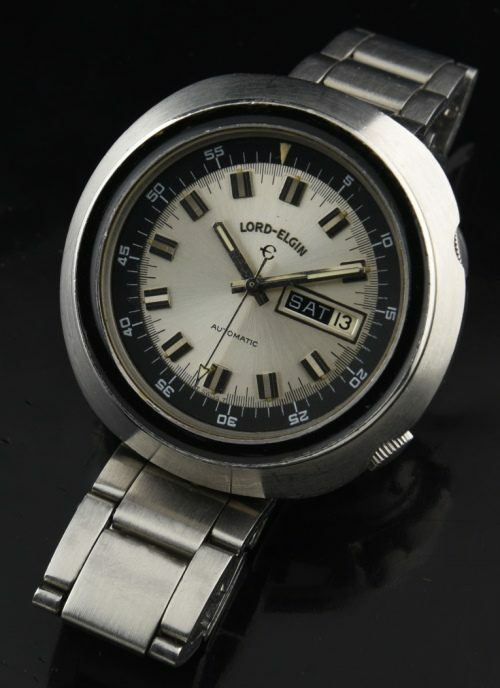 large Lord Elgin dive watch looks very cool! This watch is quite large and imposing and really looks fantastic! The ORIGINAL silver dial with inner black turning bezel and black outer plain bezel has great contrast. The original bracelet looks excellent and is full length. This automatic ELGIN SWISS movement was just cleaned and is accurate. You really have see this watch on the wrist!